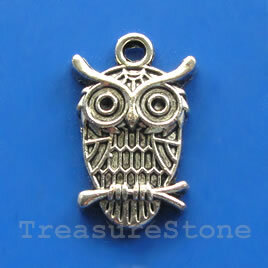 Pendant/charm, silver-finished, 15x20mm owl. Pkg of 8. 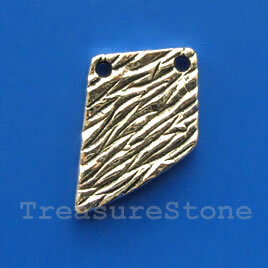 Pendant/charm, silver-finished, 15x20mm. Pkg of 5. 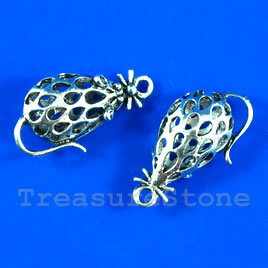 Pendant/charm, silver-finished, 15x28mm filigree rat. Pkg of 2. 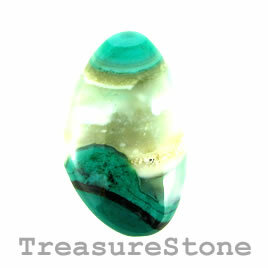 Cabochon, agate (dyed), 30x49mm. Sold individually.